Fair. Fast Dispatch. Expedited UK Delivery Available. Excellent Customer Service. Ex Library. Bookplate. Reprinted 1988. Very good. Bumped edges and dirty marks to page ends Next day dispatch by Royal Mail. International delivery available. 1000's of satisfied customers! Please contact us with any enquiries. Very Good. This novel is a testament of what seemed at the time a fairly ordinary childhood, in the bosom of a normal Nazi family in Landsberg. Other work by the author includes "The Quest for Christa" and "No Place on Earth". Text in English, German. B-format paperback. 416 p. Virago Modern Classics . Good. This novel is a testament of what seemed at the time a fairly ordinary childhood, in the bosom of a normal Nazi family in Landsberg. Other work by the author includes "The Quest for Christa" and "No Place on Earth". Text in English, German. B-format paperback. 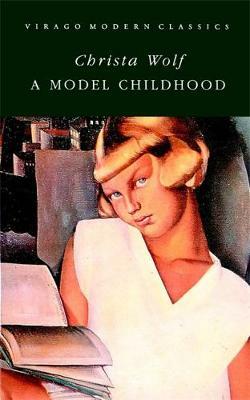 416 p. Virago Modern Classics .